We all have fears. Even we adults, who are rational and experienced people, have fears. Sometimes we adults have fear of the dark. When my husband is out of town, suddenly my dark house seems very scary! 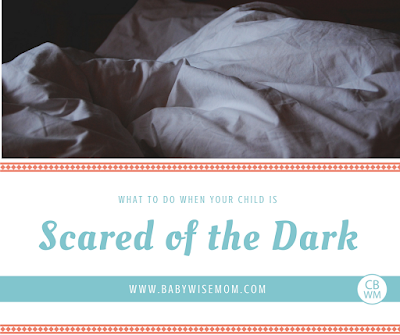 If I, as an adult, can be scared sometimes, it isn’t surprising that children are also at times scared of the dark. Fears can be a normal part of development. As children get older and have imaginations, they can be scared of the dark. As you approach the situation when your child is afraid of the dark, try to remain patient and understanding. Remember that sometimes you are afraid of the unknown also and also that fear is a normal thing. 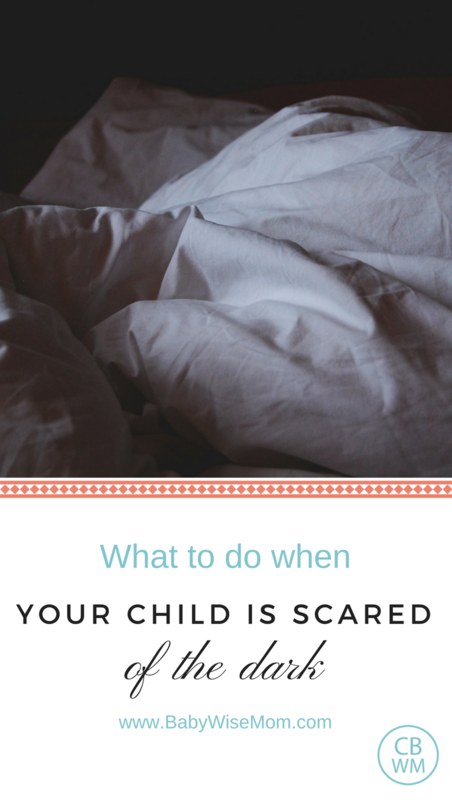 Here are some ways to help your child when she is scared of the dark. I am a BIG proponent of sleeping with darkness as much as possible. It helps your body go into deeper sleep, so I don’t like there to be light in the room as much as possible. However, if I have a child who is scared of the dark, I will put a nightlight in the room. I recently did that with Brinley when she had a couple of scary dreams. After a few weeks with the nightlight, I took it out and she has been fine. So don’t be afraid that once you add a nightlight in, you can’t ever take it back out o the room. We use these simple night lights (affiliate link). They aren’t too bright, so they aren’t as disruptive to sleep as other nightlights we have tried. Your child might feel better with a stuffed animal, a lovie, or a photo by her bedside. My kids love to sleep with a picture of Jesus on their nightstand. You might also put a picture of the family or a favorite pet. A comfort item can help your child to calm down and pull from the rational side of her brain. Prayer is very comforting and helpful. Say a prayer together that she will be able to feel comforted and secure. Assure your child that your home is safe. You don’t want to make a big show checking for scary things and then act relieved there is nothing scary. That seems sweet, but it can communicate to your child that she has a legitimate reason to be afraid. Ask her what she is afraid of and show her there isn’t anything scary there. Afraid of what is under the bed? Look under there together to see that there is nothing scary there. So much can be so scary to your little child. You may find many shows aimed at entertaining children can really trigger fears in them. The conflict that was added to the show in order to make it more entertaining can be fear-inducing. In the dark, you can’t see, and so if your mind turns to remembering those scary things you saw on television that day, it can make the dark even scarier. Be mindful of what you let your children watch and for how long they are watching things each day. scary. You screaming when you saw a spider can be scary. You might also find a fear of the dark pops up when there is another big stress in life. The fear of the dark is just the way your child is manifesting her stress and anxiety. Is there is a big change happening at school, church, or home? New sibling? Mom pregnant? New job? Moving? New teacher? Help her work through the real fears to avoid a fear of dark creeping up. If your child is scared of shadows, playing shadow puppet games will help her understand shadows better so they seem less scary at bed time. Give your child things to do when she is feeling scared. “When you feel scared of the dark, think about this happy thing. Hum your favorite song. Think of the story to your favorite book.” Distracting your brain from the fear is helpful. You can also allow your child to look at a book until she feels ready to go to sleep. 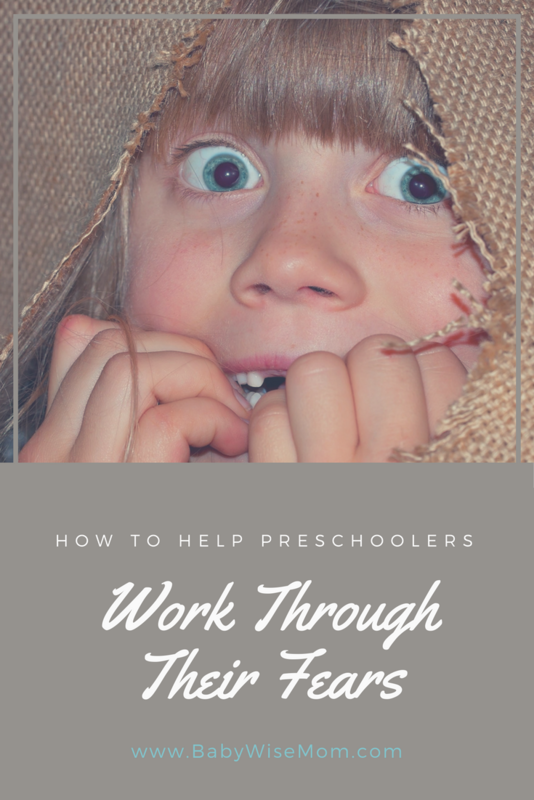 Give your child some actionable steps she can take to help her face the dark. “Don’t be afraid” is not actionable. “When you feel afraid, do _____________.” is actionable. If your bedtime routine isn’t soothing enough, it can exaggerate her fear. 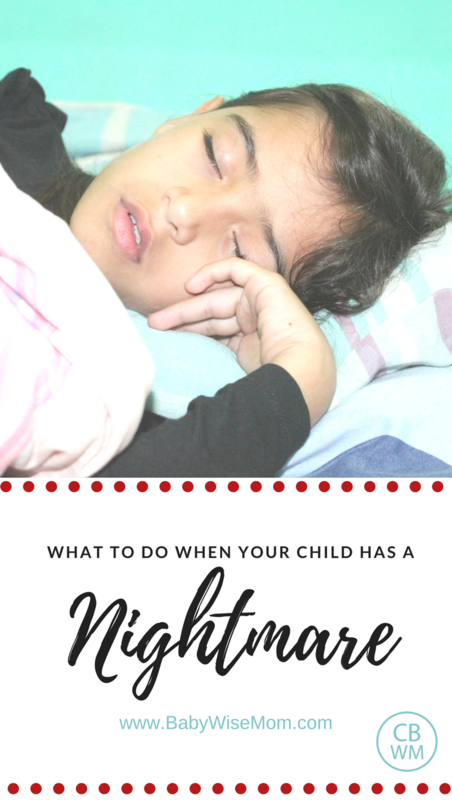 If your child is going to bed too late, she will be less rational and more likely to succumb to irrational fears. As you help your child find ways to face her fear of the dark, be mindful about starting habits. Some things, like nightlights, are easy enough to use for a bit and then take away once her fear has eased up. Other things, like stuffed animals, are harmless enough to introduce into your child’s life. Be sure anything you do start will be okay to continue on for an extended time. 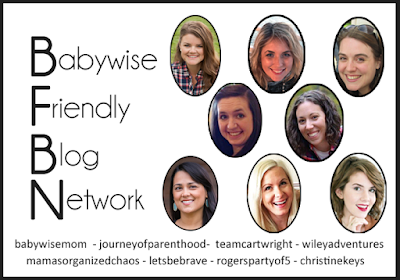 This week, the ladies of the BFBN will all be talking about fears. Here is the schedule.